Refinement of wall thickness and the curve of the form require constant adjustment. Work on several pieces together; rotating through the group, allowing each to progressively stiffen as the piece builds. 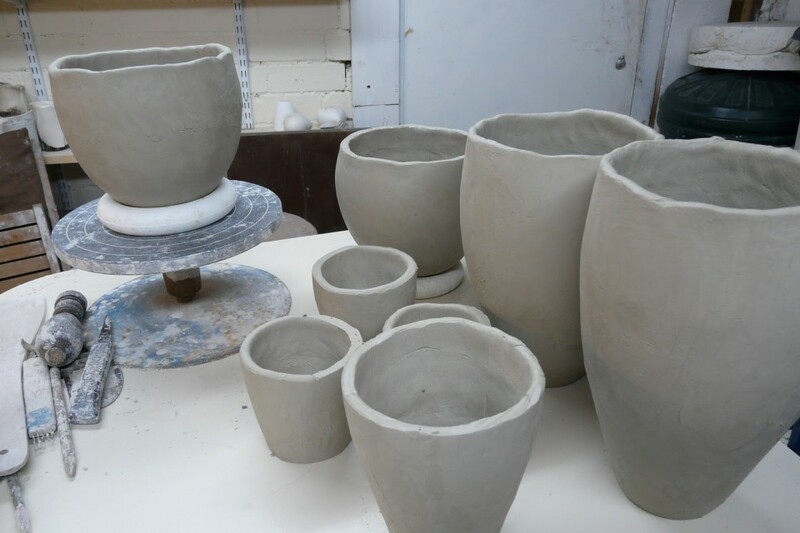 Adding 2-4 rows of coils of clay, joining each to the one below, smoothing and scraping as we go!